YCVM is aimed at creating a better future for the orphans in Kumi, Uganda. 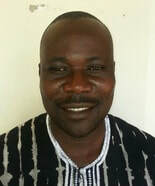 Its governing council is derived from community leaders in Kumi, Uganda. YCVM is incorporated in Uganda, and in the process of becoming a national NGO. 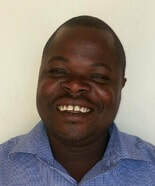 Silver Omakenyi is the founder, vision bearer, and director of YCVM. He is a gifted musician, composer, and a Ugandan national champion Adungu (Ugandan Traditional bow harp) player, and instrument maker, who has trained a band of traditional instruments. It was by making instruments and selling them that he was able to finance his own early education. In 2002, he came to study music in the Ugandan capital city, Kampala, at the Reformed Theological College, where he met Aeri Lee. While at RTC, Aeri got to visit Silver’s home village near Kumi, where she found out that Silver, a young single man, was struggling to raise 9 orphans. It was in the following couple of years that Silver and some of his fellow visioners shared their dream of caring for and raising up the vulnerable children in their community. A few years later, YCVM was born. 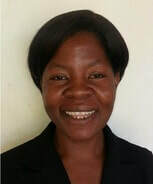 Silver has been the tireless leader YCVM’s three-fold ministries: taking care of the sponsored children, going out on outreach ministries, and the on-going “Kumi Christian Visionary School” building project.